VANCOUVER — Mike Bomar, who has worked as the president of the Columbia River Economic Council (CREDC) for the last four and a half years, will step down from the position at the end of this month. Starting on May 1, Bomar, 38, will take on the role of economic development director for the Port of Vancouver USA. Bomar said that he has similar feelings in regards to the Port; that they have a great team there, but it’s also a shift for him and a lot of new opportunities that he feels like he can be a useful participant in. “It feels like a good fit and the right move,” he said. Although Bomar has been involved with numerous projects through CREDC, he said there are a few things he has been especially proud of during his time with the organization. One of those things is the actual Clark County Comprehensive Economic Development Plan. Bomar said he felt like the CREDC team did a great job in terms of knowing who should be involved and encouraging ownership up front in the plan. Bomar said he is also particularly proud of CREDC’s work in the startup scene in innovation in the Clark County area. He said they have really developed a coherent strategy around building startup space, the tools startups need, the funding that they need and more. 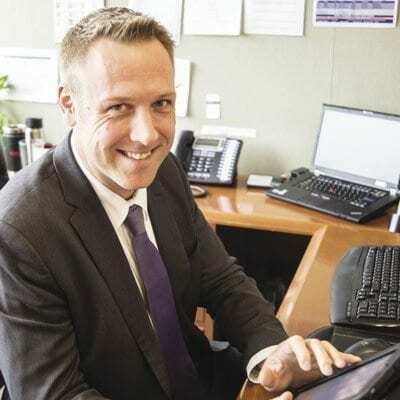 In his new role as the economic development director at the Port, Bomar said some of his responsibilities will be similar to those he had during his time with CREDC. He said he will be working with the Port’s sales team when it comes to projects and will also be doing a lot of organization representation, and also some work within the policy and public relations areas. “The position, in a gist, is to set up the Port to be successful long term as a strong community partner and a strong economic development participant,” Bomar said. 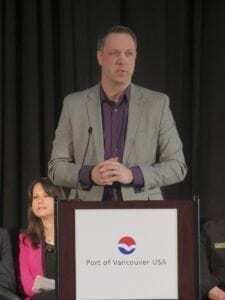 Prior to taking on the position of president of the CREDC, Bomar was the executive director of the Southwest Washington Contractors Association. He joined CREDC as the president in December of 2013. “I love economic development, I love the angle at which I get to work with the community on new projects and strategically thinking through, not just how do we grow faster, but how do we grow in a way that represents the values and interests and the vision of the community,” Bomar said. Bomar and his wife of more than 10 years, Audri, live in Ridgefield with their two daughters and son. This article was also published on the Vancouver Business Journal’s website, www.vbjusa.com.